Laptops don’t last forever. That’s not groundbreaking news, however, you’re not alone if you’re wondering just how long a laptop should last, whether it’s time to buy a new laptop, or whether it is worth your time and money for a laptop repair on a laptop that is running extremely slow. Tech experts generally agree that a laptop should last anywhere between three to five years before needing to be replaced. Of course, there are a number of factors that play into this number, including intended use, software maintenance, usage patterns, and computing power.Don’t Panic IT Solutions tells us the factors that play into the lifespan of your laptop, and whether or not you should consider a laptop repair or replacement. Perhaps the most important factor in determining whether or not you need to buy a new laptop is your intended use. If you are using your laptop primarily for simple tasks such as writing, creating spreadsheets, or putting together a PowerPoint presentation, you may be able to “repair” the laptop you already have (more on this later). If you are wanting to use your laptop for state-of-the-art programs, apps, or gaming, you may experience significant slowdown or compatibility issues unless you decide to purchase a new laptop, or put a good deal of money into upgrading the laptop you already have. If you don’t want to spend a good deal of money on upgrading your laptop and you’re not quite ready to make the leap to buying a new laptop, there are a number of things you can do to help prolong your laptop’s lifespan. One of the best things you can do would be to update your software, your operating system, or your security software. It’s no secret that viruses and malware slow down the processing speed of your laptop and significantly shorten its expected lifespan. Staying up-to-date with your security software and protecting your laptop’s system is crucial in prolonging it’s expected lifespan. It is also crucial to stay on top of BIOS and driver updates. These updates help your laptop to work “behind the scenes”, interfacing with your laptop’s hardware to fix common problems that crop up, solve compatibility issues, and improve functionality. Obviously the way you use your laptop can extend or decrease its lifespan. If you always leave your laptop on, it is likely that it will need maintenance or repairs much quicker than laptops that are only on while being used (fan failure or hard drive replacement are common repairs for laptops that are used like this). Keeping your laptop in a cool space may prolong its lifespan slightly as the internal components (such as the fans) won’t have to work as hard to function properly. Similarly, laptop batteries can only be charged so many times before they begin to fail. Typically, a laptop battery starts to deteriorate after a few hundred charge cycles. Replacing your laptop battery would be the most common laptop repair that you might need during its regular lifespan. To increase your laptop’s battery life, try to avoid leaving it plugged in all the time, and only charge it when it needs battery life. The most common end of a laptop’s lifespan is related to the processing speed, or when the laptop’s memory becomes inadequate for modern software. Tech experts estimate that computing power doubles approximately every two years.Software capability increases generally in tandem with computing power, which naturally makes older laptops obsolete over time. 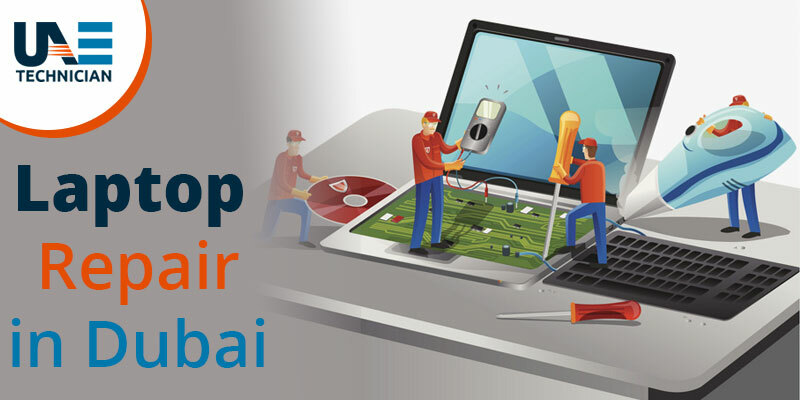 If you are using your laptop primarily for simple tasks (as mentioned earlier), you could “repair” your laptop that is slowing down by purchasing and installing more RAM or a new hard drive until you decide to purchase a new laptop. Unfortunately., these are usually the only components of laptops that can be upgraded or repaired as other hardware replacement is difficult to perform or not cost effective to pay someone else to perform. It is inevitable; however, that your laptop’s computing power will be outdated by the software that tech companies continue to put out. Keep this in mind as you make the decision on whether to upgrade/update or repair your current laptop versus purchase a new laptop that will last you the next three to five years.